China may achieve decisive results with foreign exchange, interest rate and capital account reforms by 2020. The roadmap for China’s foreign exchange reforms has now come into focus, following the recent conclusion of the landmark Third Plenum, which outlined the blueprint that is set to shape the direction of economic reforms in the world’s second-largest economy for the next decade. China vows to “improve the market-based yuan exchange rate formation mechanism and speed up the marketisation of interest rates. We will increase the level of convertibility in cross-border capital and banking transactions,” according to the detailed reform plan made public on November 15 by the Communist Party of China (CPC). While some Western observers claimed that there was nothing new in the statement and that it was only a repetition of the Chinese central government’s long-standing position, they have perhaps not have studied the entire document related to China’s economic reforms, or maybe they looked at each part in isolation. At any rate, they have missed one critical point. If the China skeptics had correlated the statement about the market’s decisive role with that concerning the foreign exchange reforms, they would have painted a different picture. In the authors’ opinion, the reiterations are a clear sign that the new Chinese leadership’s commitment to more market-oriented exchange rate, interest rate and capital account reforms is firm, and that the pace of the reforms will probably accelerate. These decisions approved by China’s twice-a-decade Third Plenum have given an apparent indication of the direction of China’s future foreign exchange reforms: namely, a move toward a more open and liberalized market-based regime with less government intervention. In short, the People’s Bank of China (PBOC) is now likely to speed up currency reform and gradually give the market a decisive role in setting the yuan’s exchange rate. This is evidenced by the recent announcement made by PBOC Governor Zhou Xiaochuan, who said that the PBOC would “basically exit” from regular intervention in the currency market, going further than in his previous comments, when he had said the central bank would “reduce” intervention. However, such reform cannot happen overnight. Rather, it will only come in phases. The PBOC will next further widen the yuan’s daily trading band, after it was enlarged last year to 1 percent from the previous 0.5 percent, to increase the two-way flexibility of the currency. In the long run, the yuan’s trading limit will likely be abandoned to allow the exchange rate to float more freely based on unified onshore and offshore trading of the currency. In terms of interest rate reform, the pace will probably quicken in the wake of this Third Plenum. Following the elimination of the floor on lending rates in July this year, the long-awaited deposit insurance system is expected to be established in the near term, paving the way for a freeing up of deposit rates, which international experience demonstrates is the final step in liberalizing interest rates. The reform will be conducted step by step, and the authors expect China to have liberalized interest rates in three to five years. Achieving capital account convertibility is perhaps the most delicate balancing act among the many reforms in the financial sector that China needs to pull off, as it needs to be based on the reforms to exchange rates and interest rates. It will also have a series of profound, far-reaching effects, both in China and overseas. The pace of capital account liberalization in China has clearly accelerated since 2012. By IMF standards, 85 percent of sub-items under China’s capital account are now above the basically convertible level, with no completely inconvertible items. 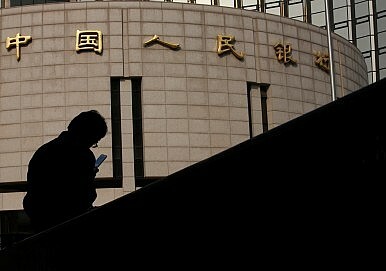 Capital account reform is expected to enjoy a faster tempo, given that China has pledged to “accelerate” the implementation of yuan capital account convertibility in its new reform agenda, going further than in its previous statements of “gradually realizing” capital account convertibility. As with the rate reforms, freeing up the Chinese capital account will also come in stages. The authors believe that China will first liberalize cross-border capital flows and increase the level of convertibility in banking transactions. The quotas for the QFIIs and QDIIs are expected to be further expanded, and then the volume limits scrapped to allow foreign investors greater access to Chinese capital markets and Chinese investors to global markets. Liberalization in terms of cross-border lending and equity portfolio investment will come in later phases. A robust regime for macromanaging foreign debt and capital flows will be put in place to ensure China’s financial stability before the world’s second-largest economy finally opens its capital account in a prudent manner. Although the pace of this liberalization process may indeed be faster given the reform pledges earlier this month, full capital account convertibility is unlikely to happen anytime soon. This is the most delicate balancing act among the many reforms in China’s financial sector and requires careful planning and prudent implementation. The grand reform plans may take years to come to fruition. At this point, readers perhaps now have a clearer picture of the roadmap for China’s exchange rate, interest rate and capital account reforms over the coming years. While no specific timeline has been outlined for these reforms, China did promise to achieve “decisive results” in key areas by 2020, according to the communiqué issued after the Third Plenum. The reforms described here are beyond question the major items on China’s economic reform agenda. China is moving toward its next stage of development, and its foreign exchange reforms are poised to move into the fast lane. When the 13th Five-Year Plan (2016-2020) of the world’s fastest-growing economy comes to an end, this “next” China will be apparent. Shi Mingshen is the founder of the Securities Times in China and former first deputy head of the economic department at People’s Daily. Li Zhenyu is the editor-in-chief of the business channel at People’s Daily Online and a contributing columnist for some of the world’s leading trade publications. The internationalization of China’s currency is underway, albeit with some important hurdles still to clear.